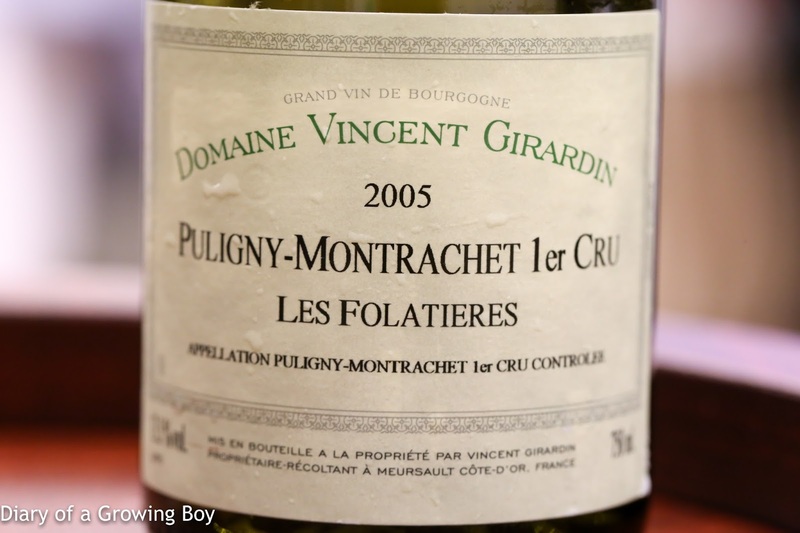 2005 Vincent Girardin Puligny-Montrachet 1er Cru Les Folatieres - very ripe, with apricot and acetone notes. 1995 Joh.Jos. 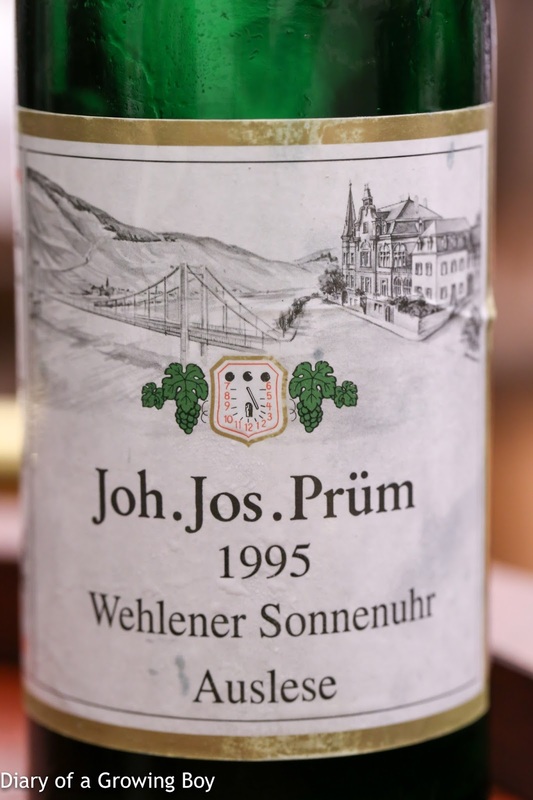 Prüm Wehlener Sonnenuhr Auslese - lots of petrol, polyurethane, and marmalade. Good amount of sweetness on the palate, balanced by some acidity.